Dry Skin & Brittle Nails? Not one of the more obvious signs of menopause, but a distressing one. If this is happening to you, here are some helpful tips. Hormone fluctuations are responsible for the changes we see at menopause, but although you may be prepared for the weight gain and hot flushes, when your hair and nails start to get dry that can come as a bit of a shock. The hormonal changes that occur during and after menopause tend to change the skin’s physiology in new and different ways. The decline of both oestrogen and progesterone can be reflected in increased dryness and dullness of the skin and dry and brittle nails. Hormone balance is essential at menopause as women need both progesterone and oestrogen, and having reasonable oestrogen levels means that the production of collagen and oils in the skin is stimulated. 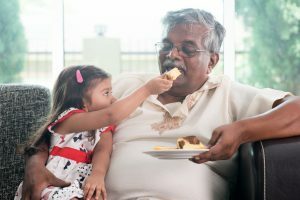 For many women the production of oestrogen from the fat cells, shown in the bloated tummy and weight increase, can mean they may have enough of this hormone unless symptoms show you otherwise. The blood flow through the skin is reduced during menopause, so less nutrients and oxygen are available to nourish it. This contributes to the thinning of the skin and a slower cell turnover rate, and this results in a reduction in the barrier function of the skin so you get more water loss and dry skin. Another factor to consider is the effect of the sun, as this becomes more damaging at menopause. This is because we produce much less melanin, this is the pigment that protects our skin from the sun . Unfortunately this means we burn more easily and get an increase in ‘sun spots’. At menopause it is vital to use a really good sunblock to protect the thinner skin on face and body. This is one menopause symptom I completely missed, as I put my brittle nails down to the drying effects of nail polish and gel manicures, but it seems it was hormone imbalance yet again! Nails are formed of a hard substance called keratin, which is produced by specialised cells at the root of the nail bed. When you are in good health and your hormones are well balanced, your nails provide a solid protective layer for the sensitive nail bed. Hormonal fluctuations at menopause can weaken the keratin layer, resulting in nails that tear easily. 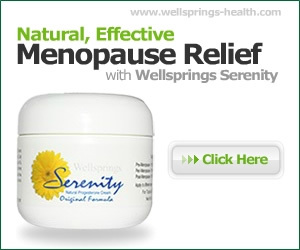 If you feel you may be low in oestrogen from signs such as dry skin or vaginal dryness then you would benefit from a combination cream with both progesterone and oestrogen. Although it is not often recognised, you can still be oestrogen dominant with low levels of oestrogen, if your progesterone levels are still lower. As you might expect the health of your hair and skin is dependent on how you treat it, and that means looking to your diet. This is about providing the essential nutrients needed and this means a good intake of fats. Particularly the essential fatty acids like the omega-3s found in salmon, walnuts, sardines, soy, safflower oil, flax seeds. and eggs. These help produce your skin’s oil barrier and that is how you keep your skin hydrated and dewy looking. A diet low in Omega 3 oils is a contributory factor in nails cracking, and if you don’t have many fatty acids then there can be a tendency for skin to become dry, itchy, and prone to acne. Other vital elements include B-complex vitamins, calcium and protein which help prevent dry brittle fingernails. Dry hair can also be accompanied by hair loss. 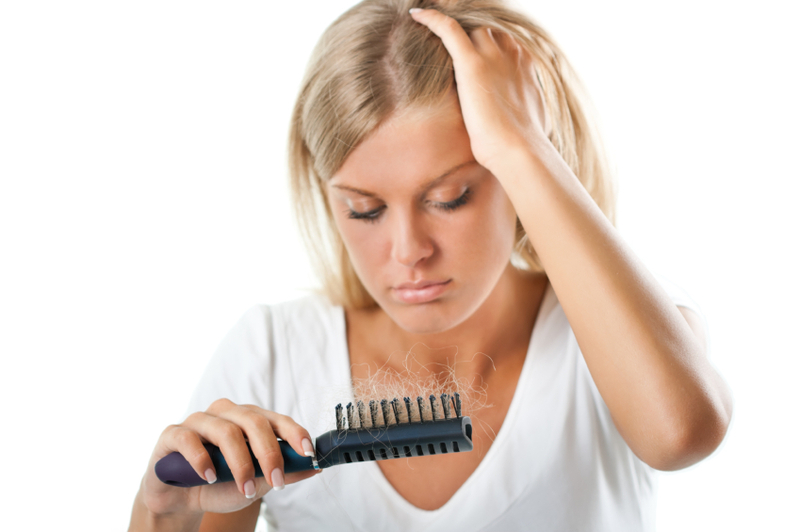 When hair starts thinning, which is common at menopause when progesterone levels fall as a result of lack of ovulation, the body responds by increasing its production of the adrenal cortical steroid, androstenedione. This is an alternative precursor for the production of other adrenal cortical hormones. Androstenedione conveys some androgenic (male-like-properties) – in this case male pattern hair loss.